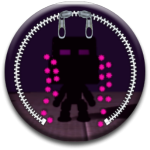 I have recently created a different type of 3D level on LittleBigPlanet Vita. Based off of the Ender battle in Minecraft, this level allows you to battle the Ender Dragon with help from the Vita’s touch screen. The name of the level is “Minecraft: The End – Battle With the Ender Dragon“. Everybody please go play it! Also, I will be making more levels soon. Please keep an eye on the list of my levels, which is below the list of categories. It will update automatically.